The story of Gemma and Cy is so good! Eric Dove is so great with all the voices! I totally recommend the book and the audible! Absolutely love this book series and the narration makes it even better! I have throughly enjoyed each of these books and I'm looking forward to the rest of Kathleen Brooks collections. Cy is finally cpming home. We finally find out what he has been doing these many years. As he is leaving LA he steps in to assist Gemma. As it turns out she has a connection with on of Cy's cases. Soon the best place for both of the is Keeneston, KY (home). As it turns out there are a whole lot of connections with a whole lot of people, not the least of which is Ahmed. I really love all of Ms. Brooks Bluegrass novels and Eric G. Dove is a wonderful narrator. A true joy. And finally...the last of the Davies brothers! Cy is finally ready to return to Keeneston but things, as always, don't go according to plan. Including having to rescue Gemma Perry and bring her with him. A fabulous story to listen to. Great pace and full of suspense. 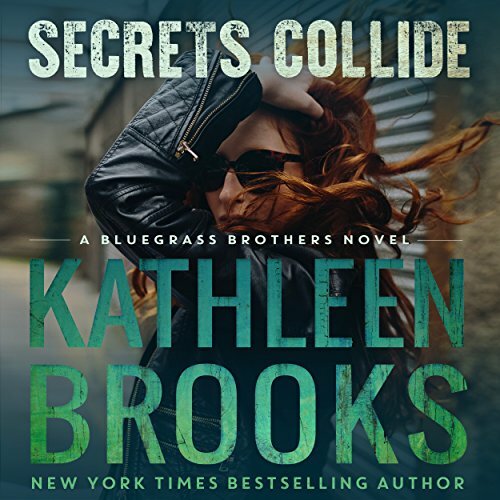 Would you consider the audio edition of Secrets Collide to be better than the print version? What was one of the most memorable moments of Secrets Collide? When we find out what Cy did as a cover. I like Eric G. Dove's voice and narration this whole series. He brings the characters to life. He is actually fast becoming a favorite. Cy's struggle within himself after playing characters for so long. I was so excited to get to Cy's story and have looked forward to listening to this book. Although I had a pretty good idea of what he was doing, there are still a few surprises. Because he has been such a mystery in the other books, I enjoyed learning more about Cy and his personality and of course that Davie's charm. I knew I was right to look forward to Cy's story! It was what I had hoped for, funny at times, intense for good and bad reasons, a few misunderstandings and a little sad bit in the graveyard- get your copy and see if you agree! Eric G Dove is still fabulous! Kathleen Brooks does it again. Kathleen Brooks does it again, it was great being back in the Bluegrass Family again. When you start reading the bluegrass books, it's like a giant hug!!! Cy is the only single Davies man left now, still living away from his family but hoping to return soon. Gemma is a twin and has had the worst week of her life. She works for a gossip magazine whilst her twin is an journalist. So different but not really!! Gia Gemma's twin is missing!! I would recommend this series, it's fantastic.